Holiday cheer for your kitchen!! 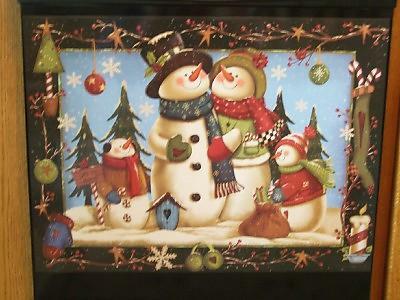 A snowman family with christmas decorations around them. Trees and bulbs with them dressed for the winter with hats & neck scarves. What fun! !